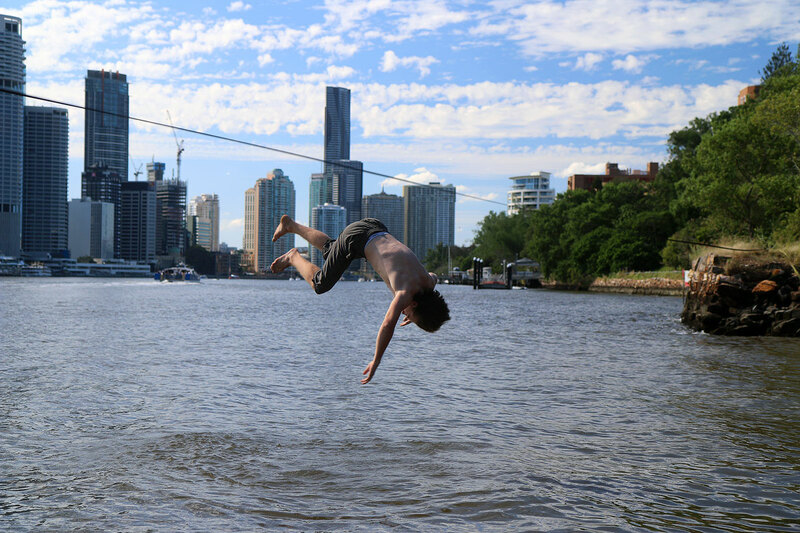 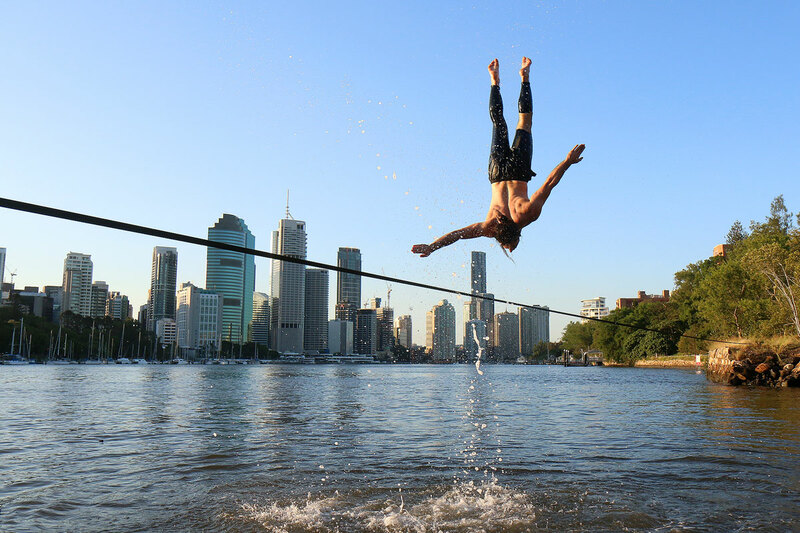 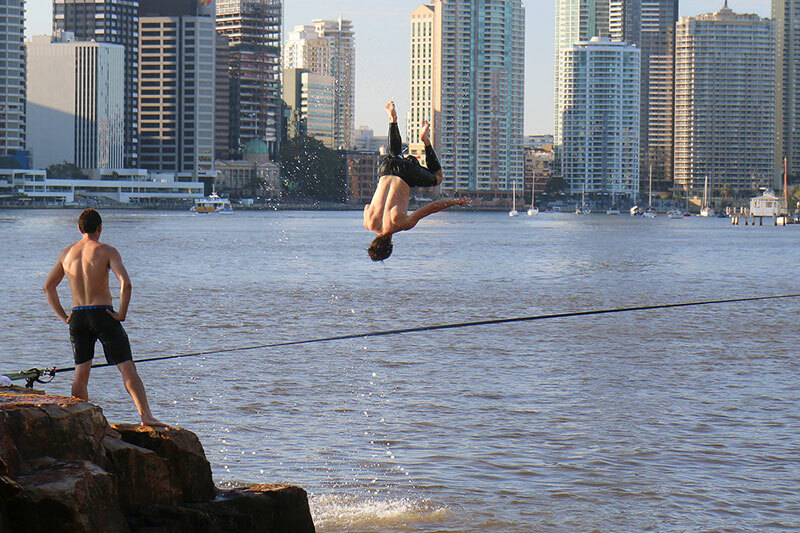 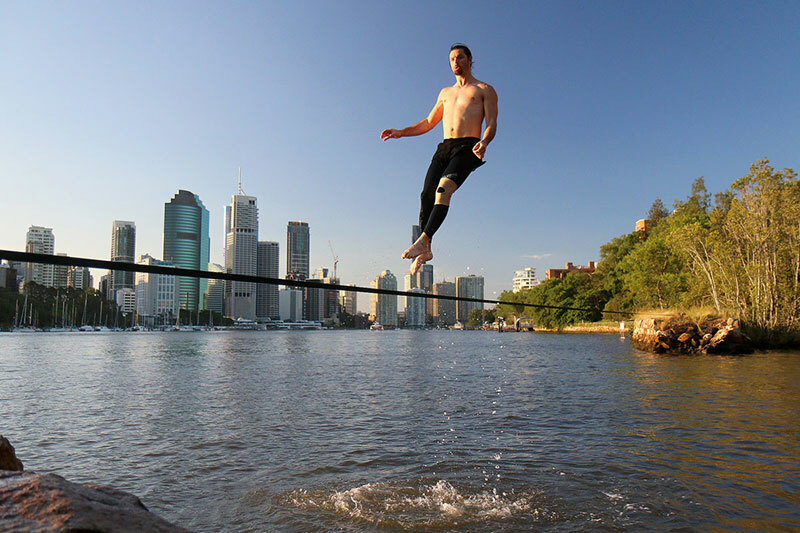 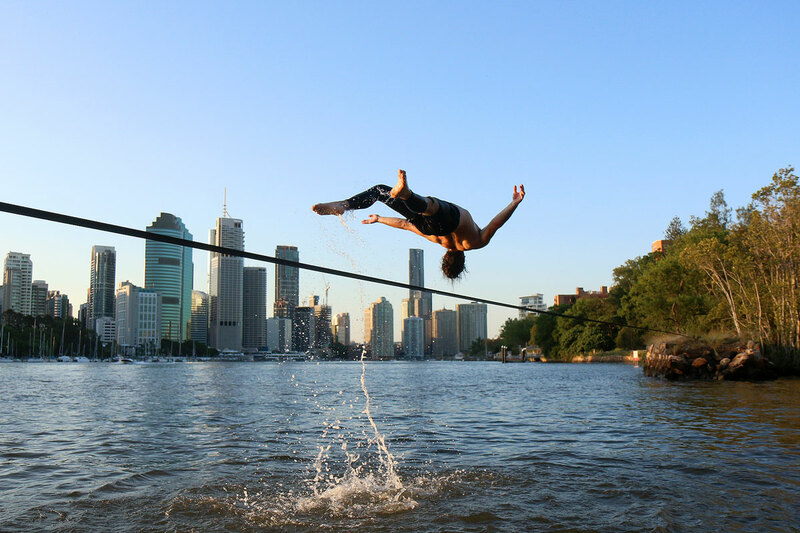 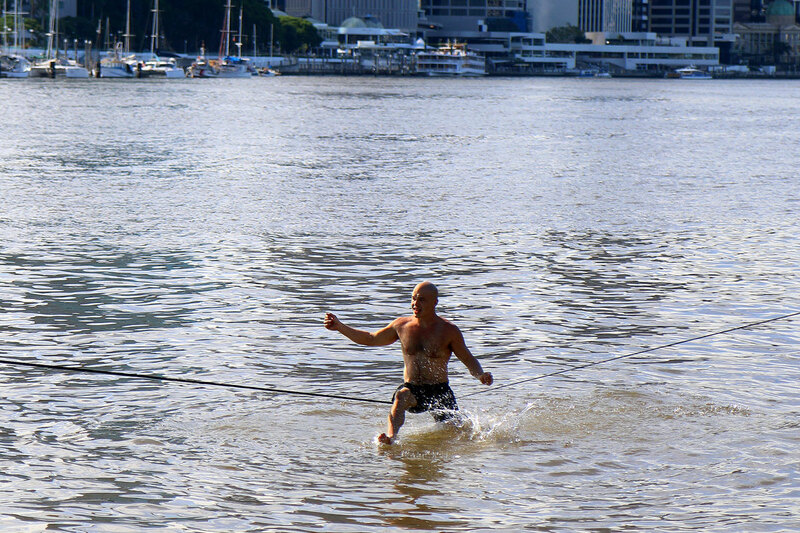 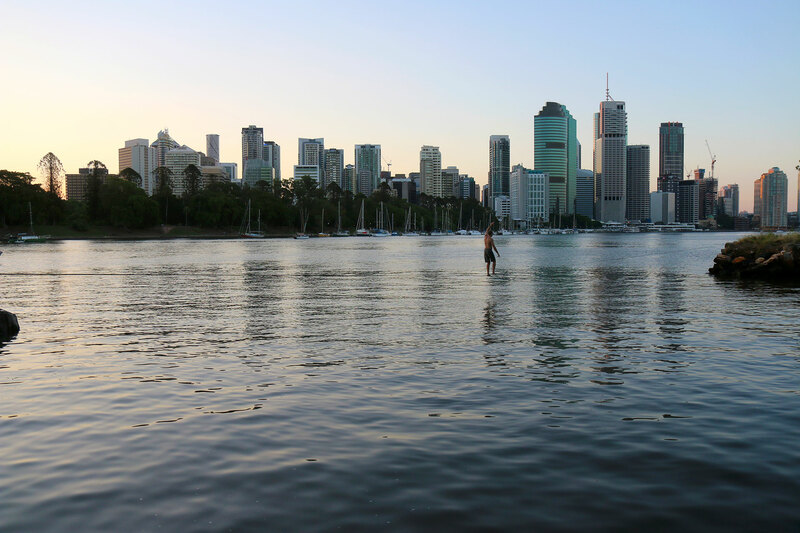 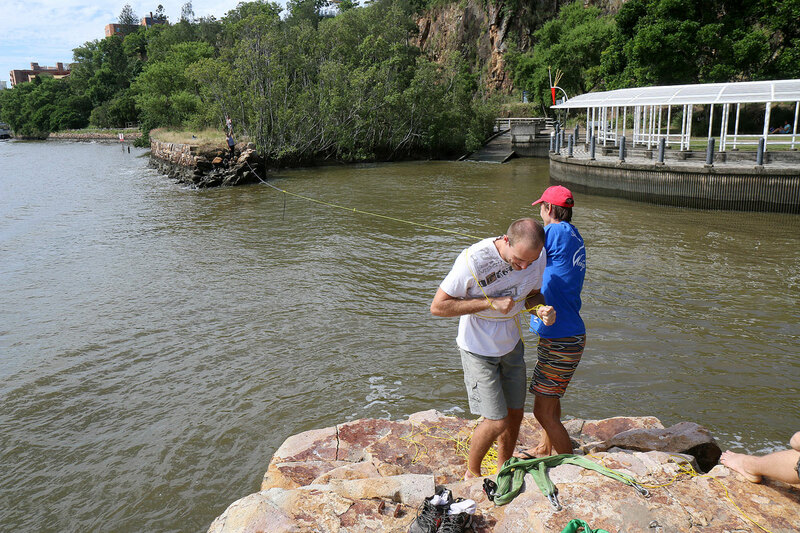 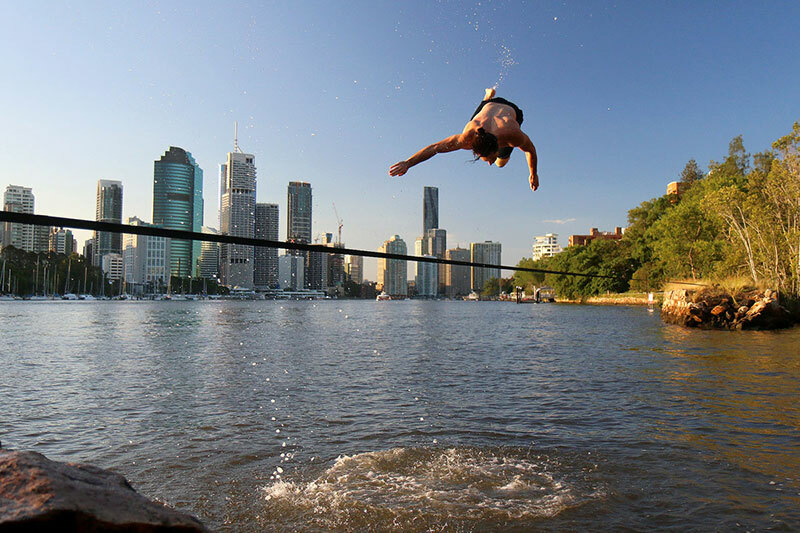 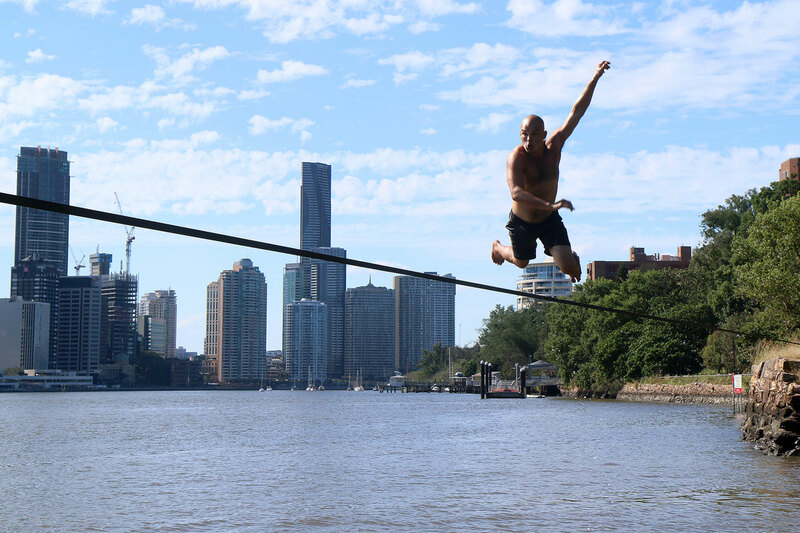 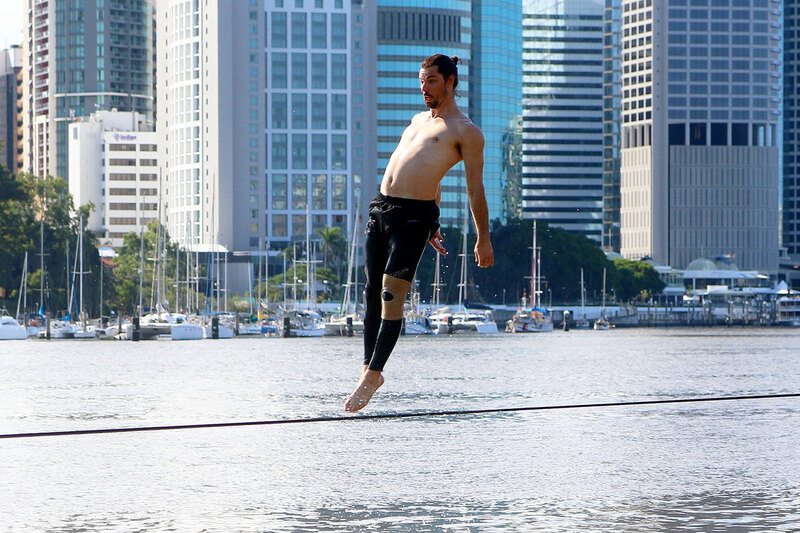 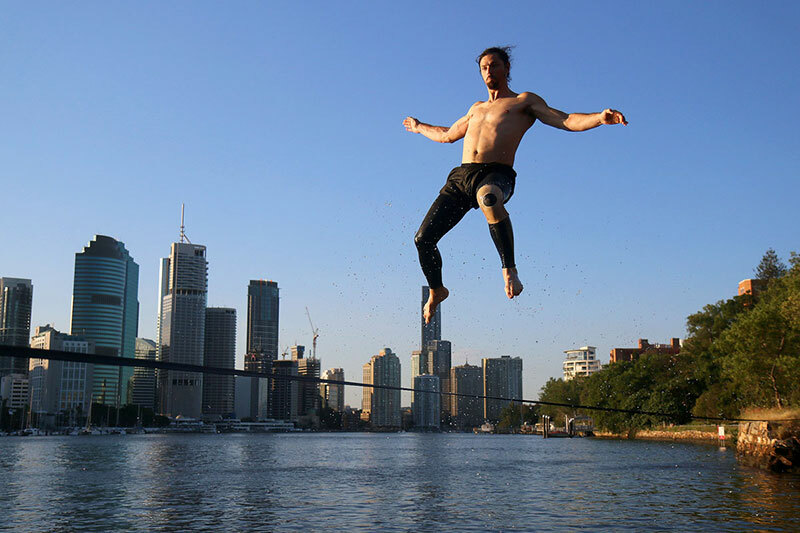 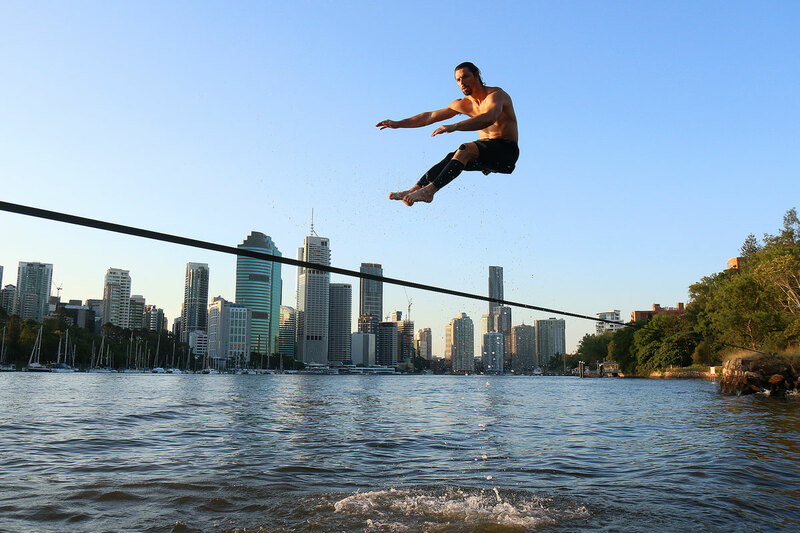 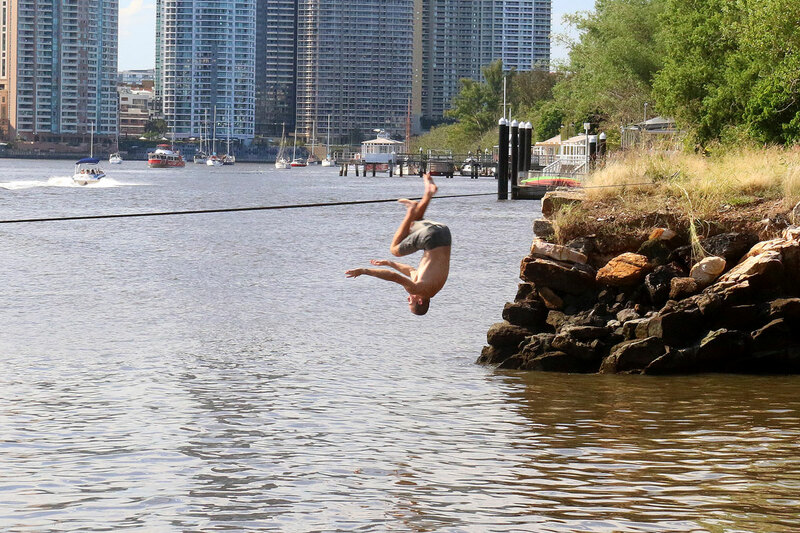 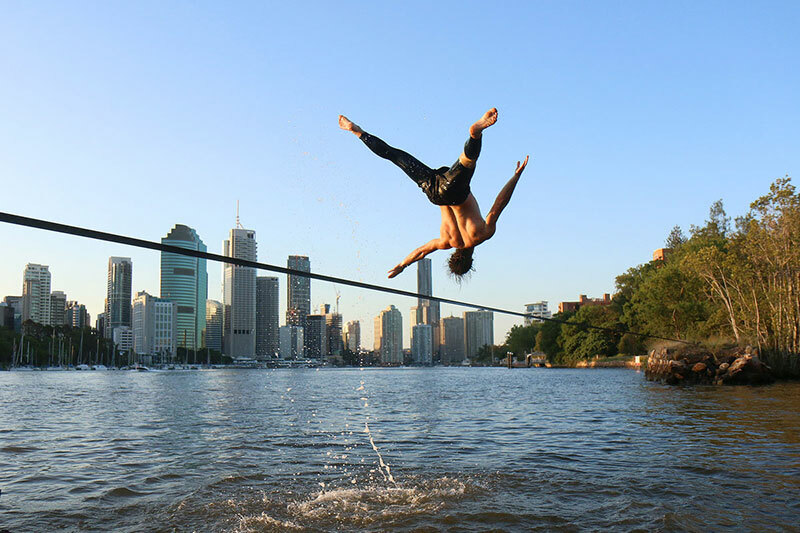 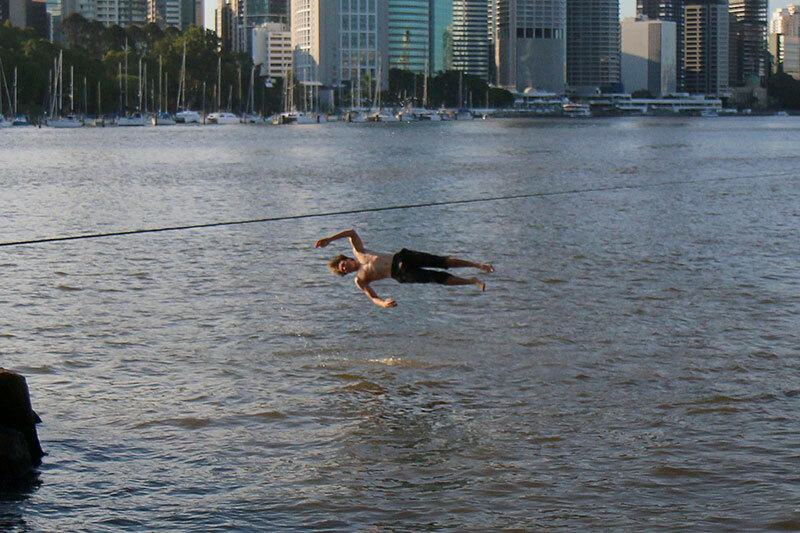 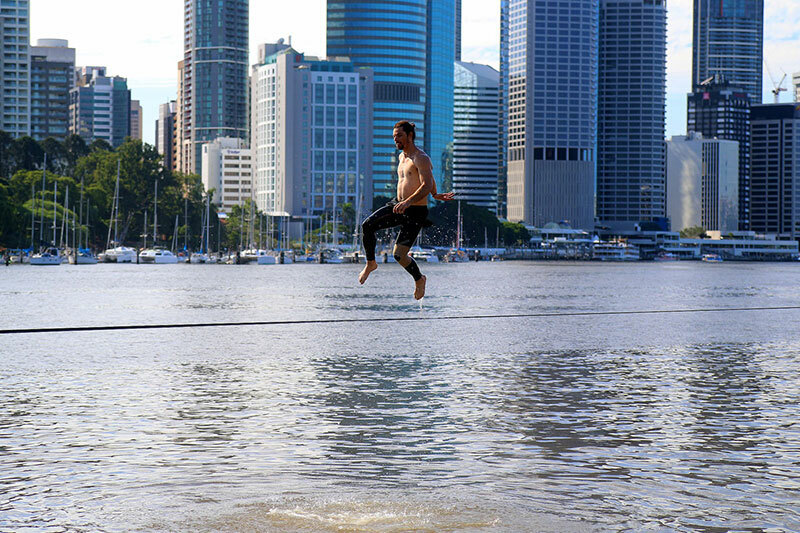 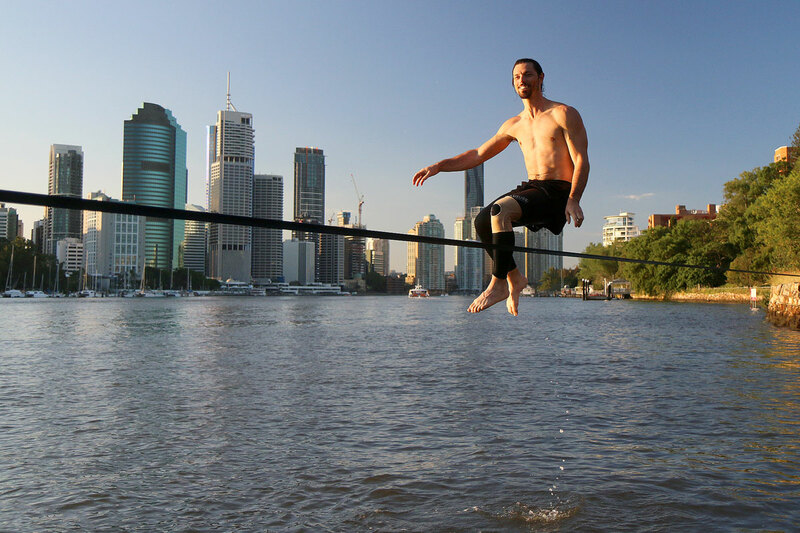 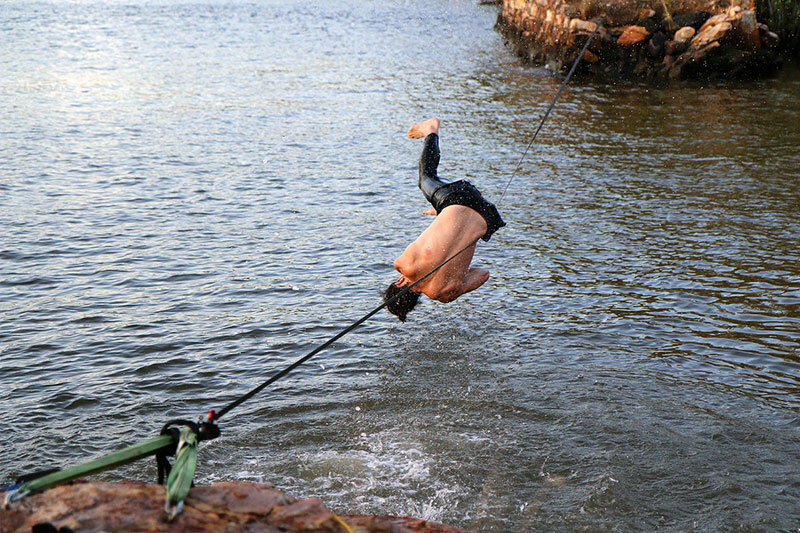 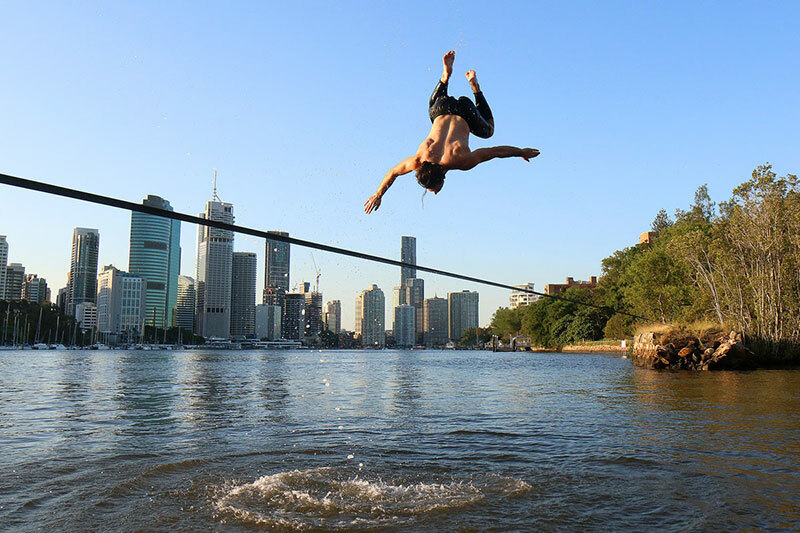 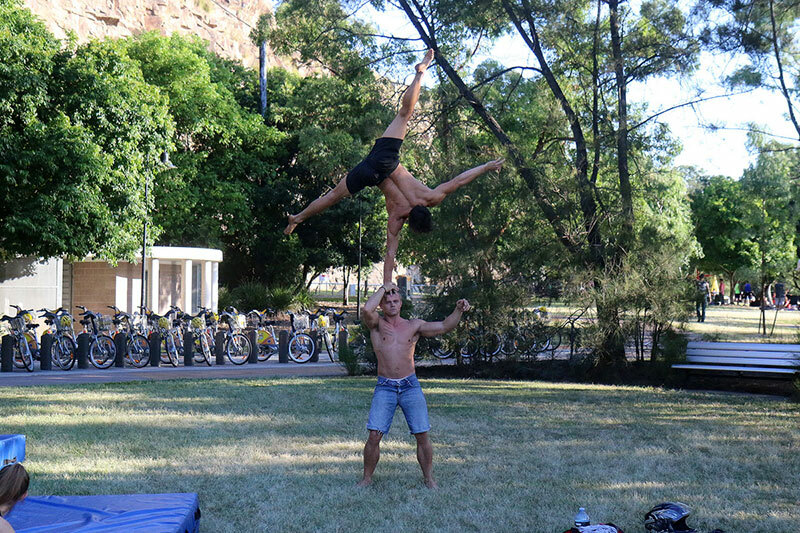 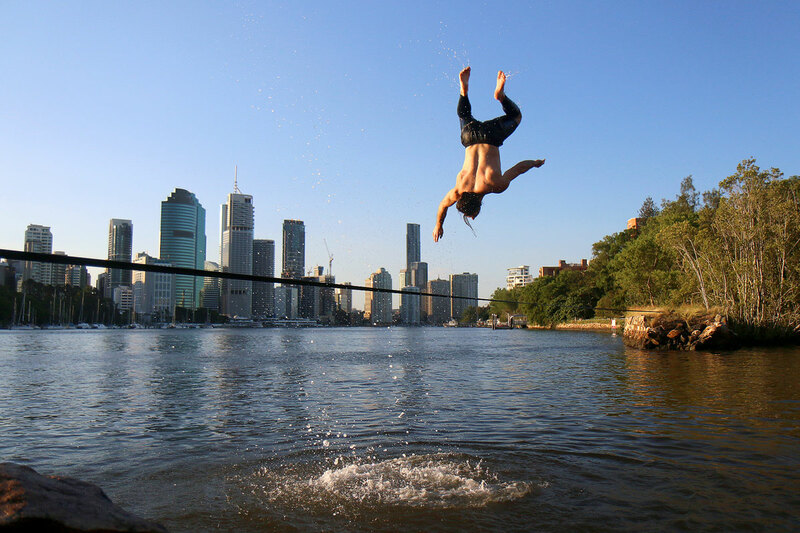 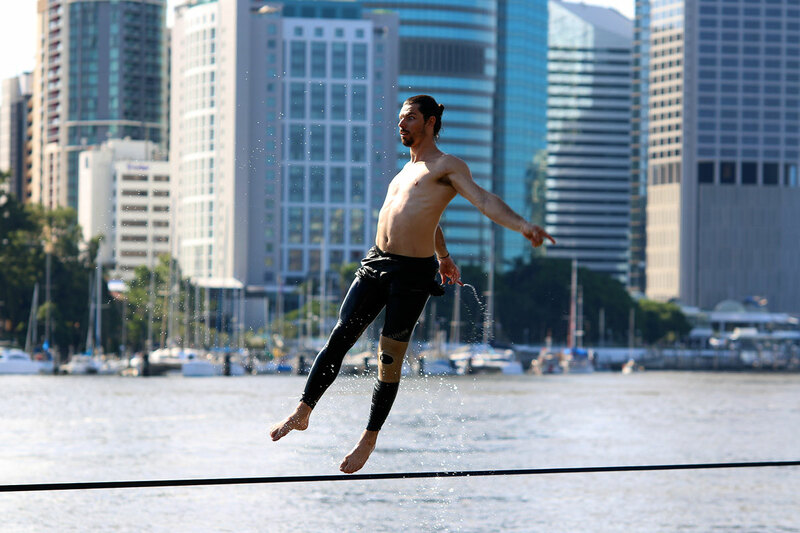 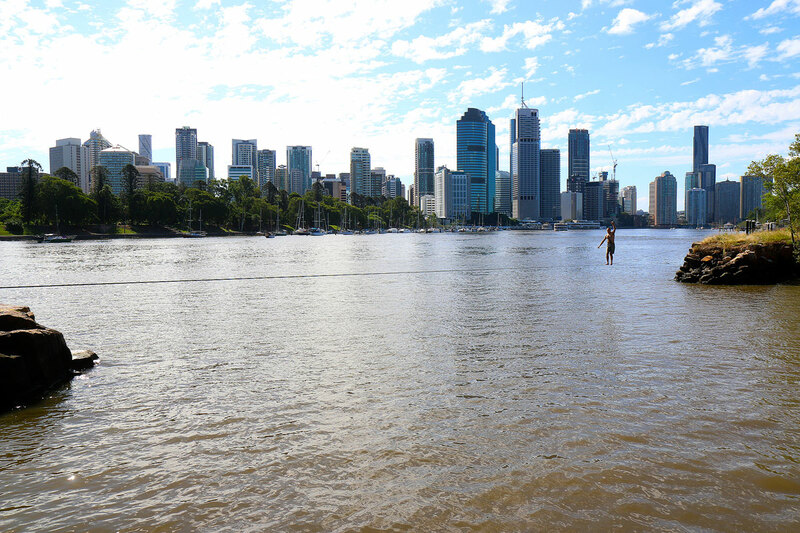 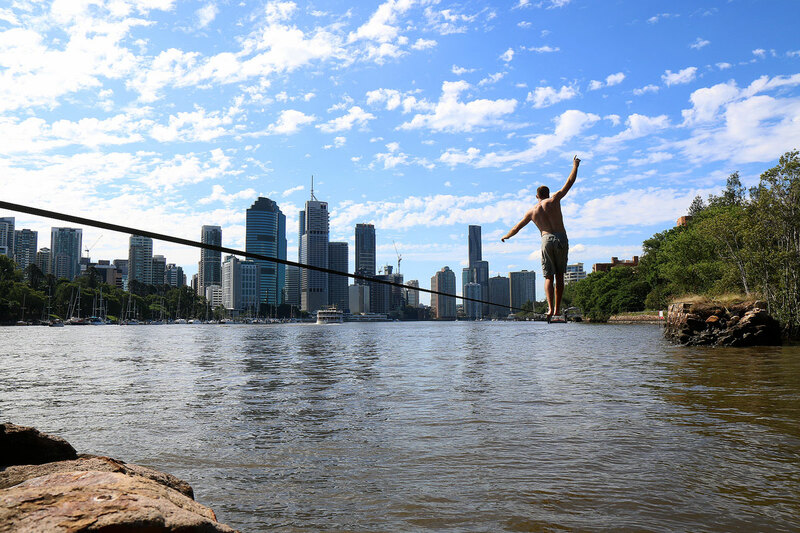 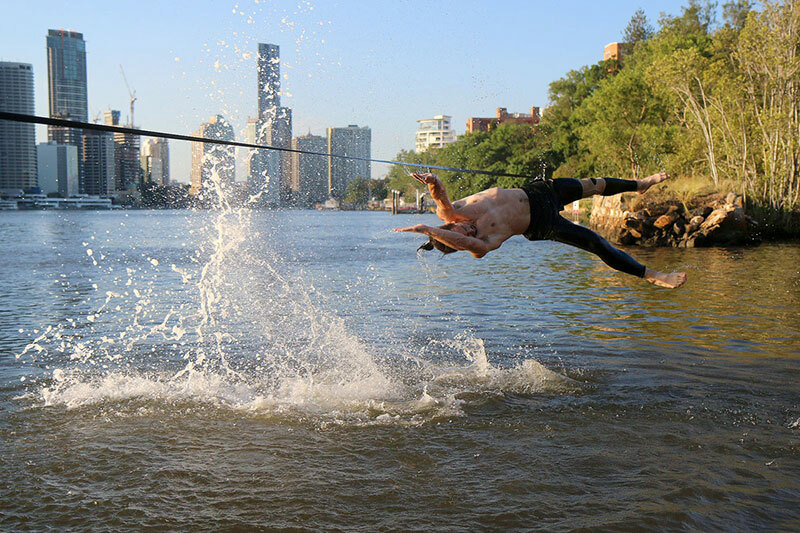 After a quiet morning at home, Bronwen and I drove into South Bank, parked at the Kangaroo Point Cliffs, bought some chips, and watched some of the Brisbane Slacklining crew waterlining. 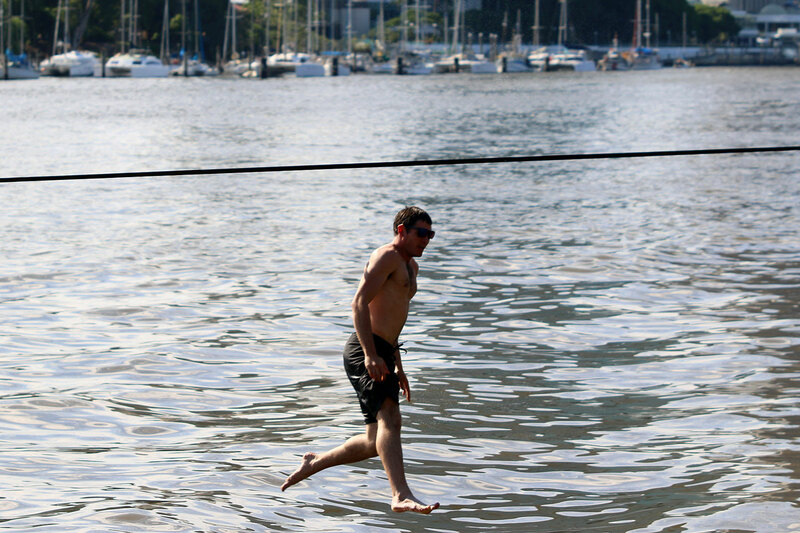 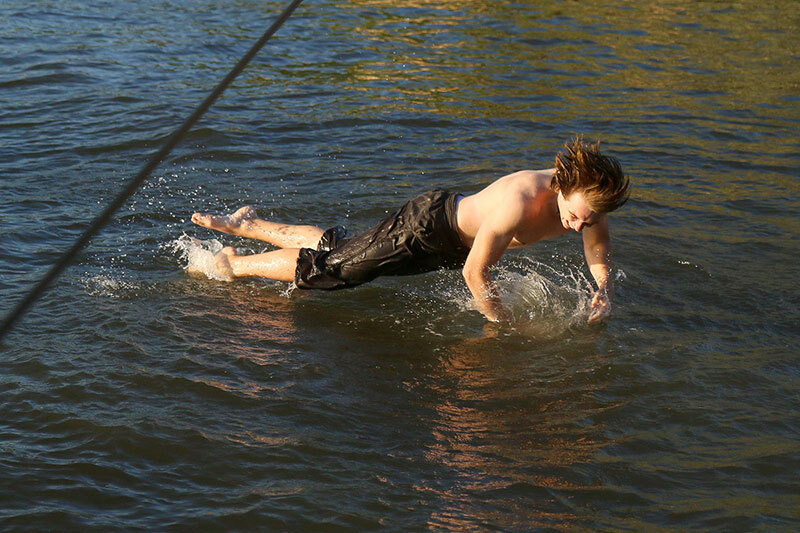 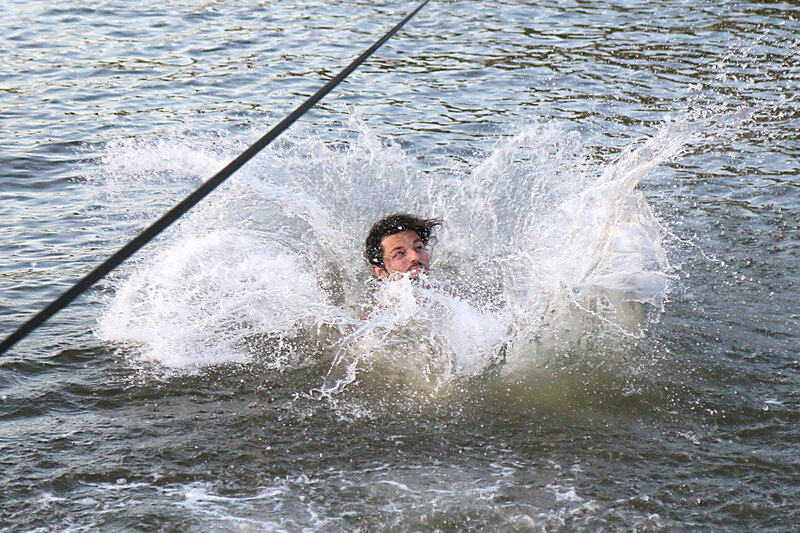 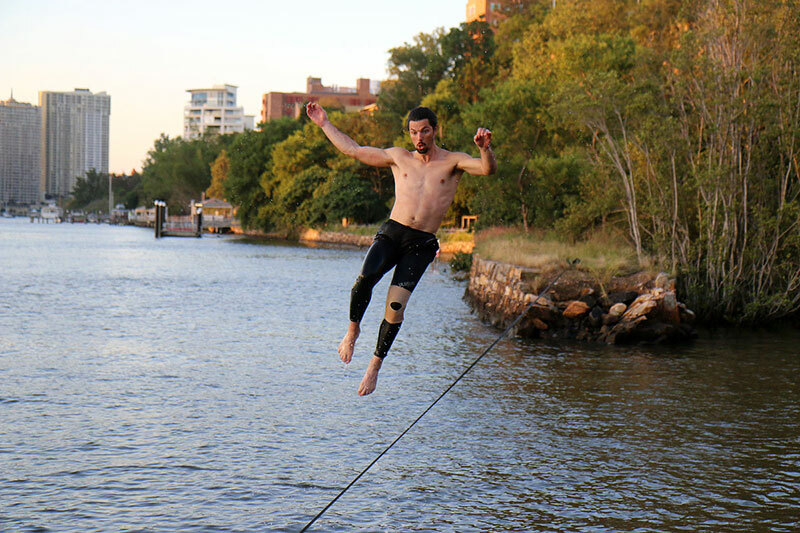 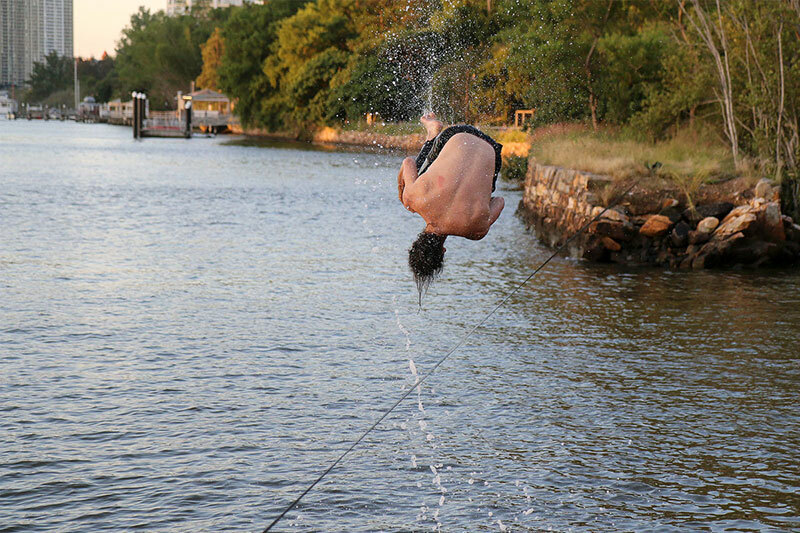 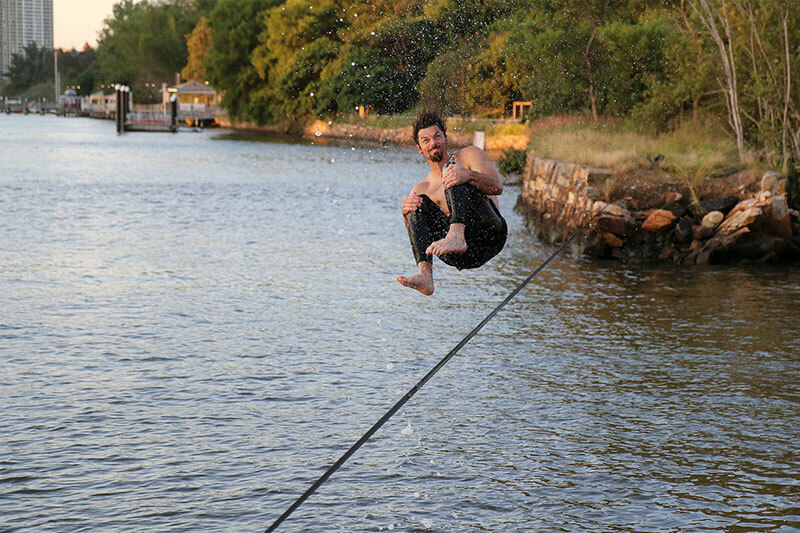 I don’t know the proper slacklining terms, so I have made up my own. 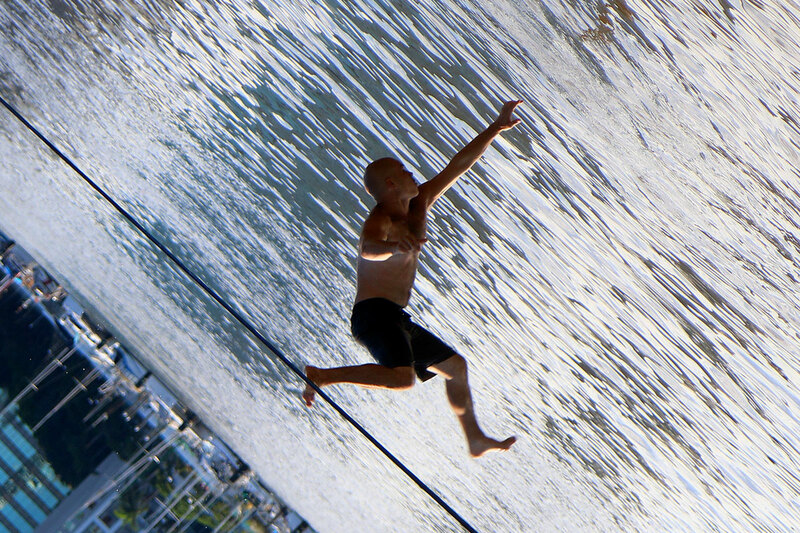 Created about 4 yrs, 1 mth ago (March 16, 2015). 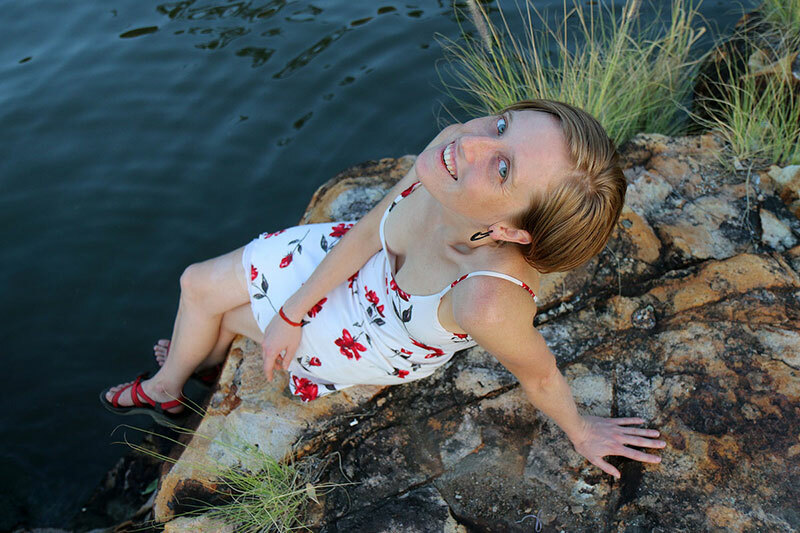 Updated about 4 yrs, 30 days ago (March 23, 2015).